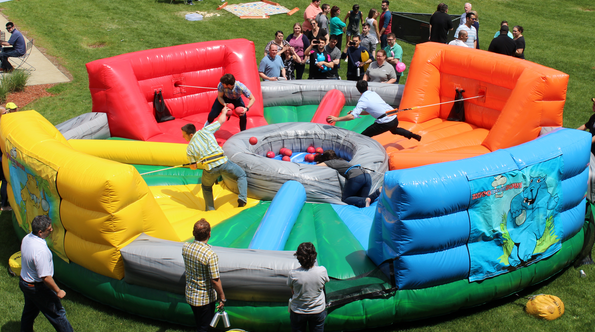 This inflatable game is the real life human version of the classical favorite hungry hungry hippos. Compete to see who can collete the most balls before the time runs out. This game is a popular and favorite for all types of fun events such as festivals, corporate events, schools, churches and backyard gatherings or graduation parties.